I can easily say that Steakhouse 55 is one of my top 3 favorite Disney Resort restaurants. 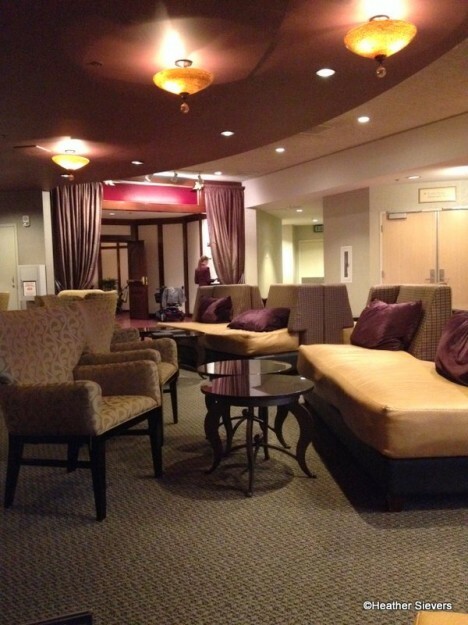 We eat there several times a year, and we always wait for our table in their lounge. 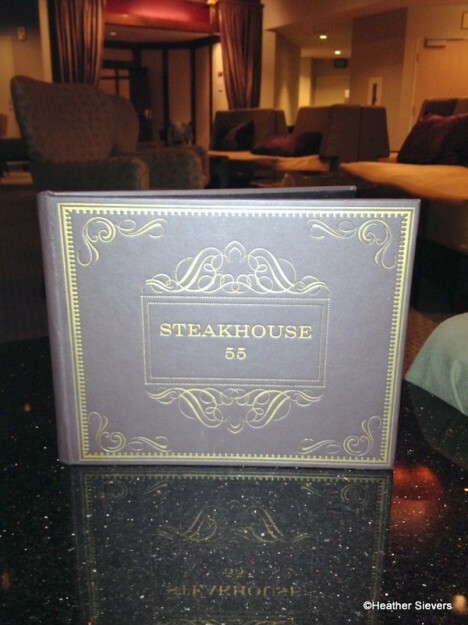 Because we’re such fans of Steakhouse 55, we’ve never ordered anything but drinks in the lounge; we’re always on our way to a fabulous meal in the restaurant! Well, we recently decided to give the lounge a try and I’m so glad that we did. Let’s be honest though, we only ate there because it was a last minute decision. 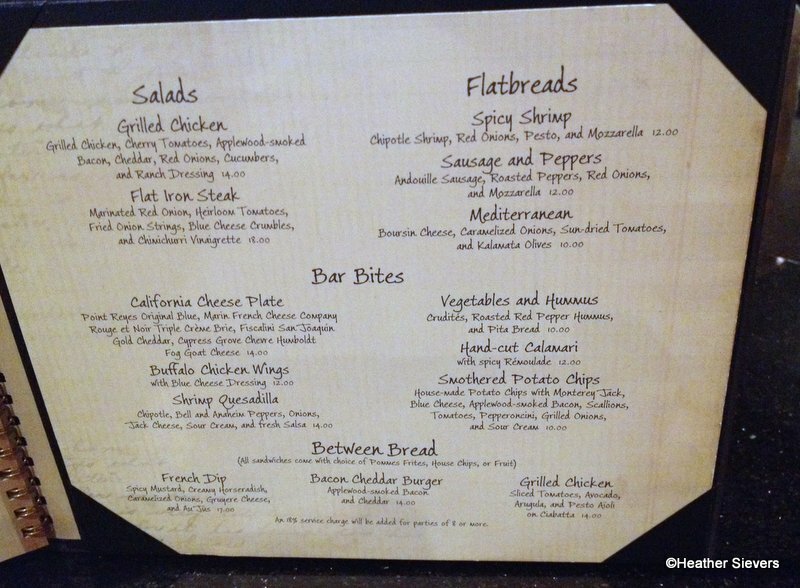 The Earl of Sandwich line was too long and there were no walk ins being accepted for Steakhouse 55… But it was great! The atmosphere of the lounge complements the decor inside of Steakhouse 55. 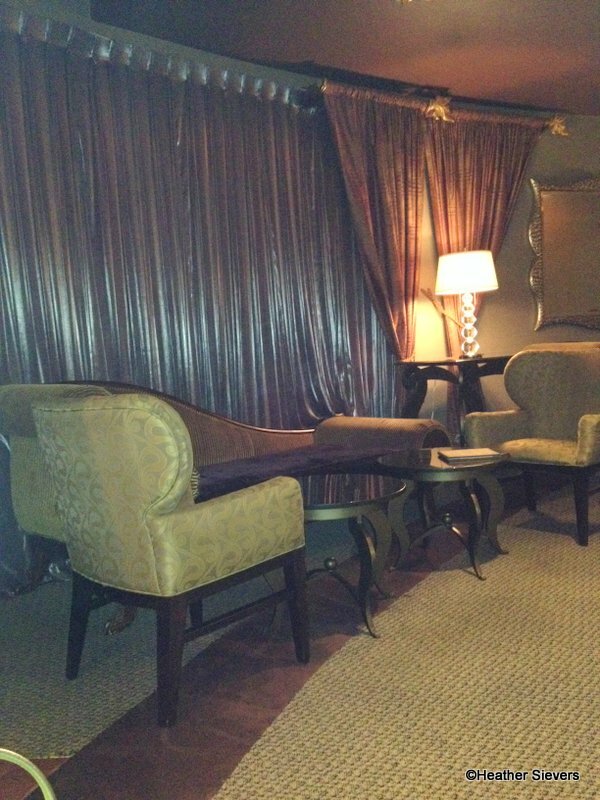 Classic and dark, but also inviting, the room is located at the entrance to the restaurant. 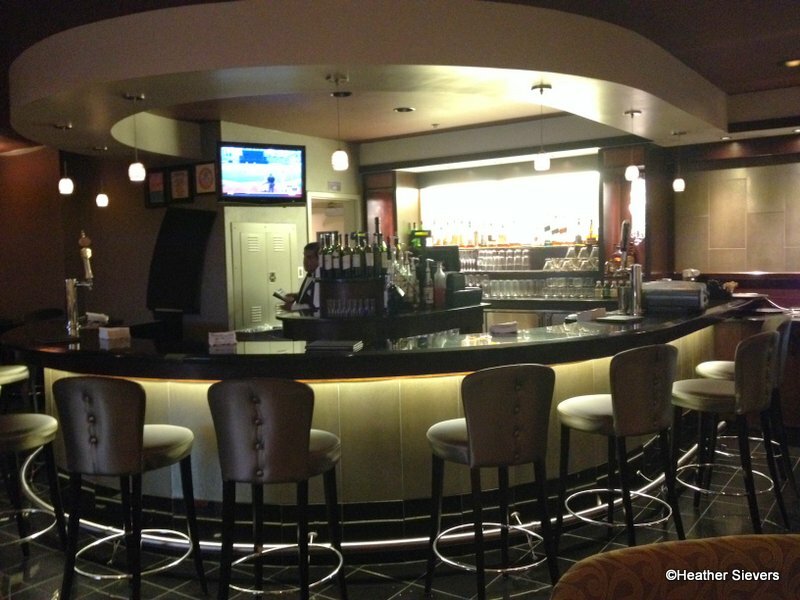 In addition to a full bar with seating, there are options to sit at small tables, couches, and some gorgeous high back chairs as well. The decor includes lush velvet drapery and pillows in deep purple. Looking to catch a game? No need to hit ESPN Zone, there’s a TV here too! The menu is not very big, but I did think that the choices were fabulous for a lounge. Options include Salads, Flatbreads, Bar Bites, and three different “Between Bread” choices.